It’s the end of my fifth day in the city and I am EXHAUSTED. In a good way. I have walked, biked, taken the occasional bus or subway, and then walked some more. 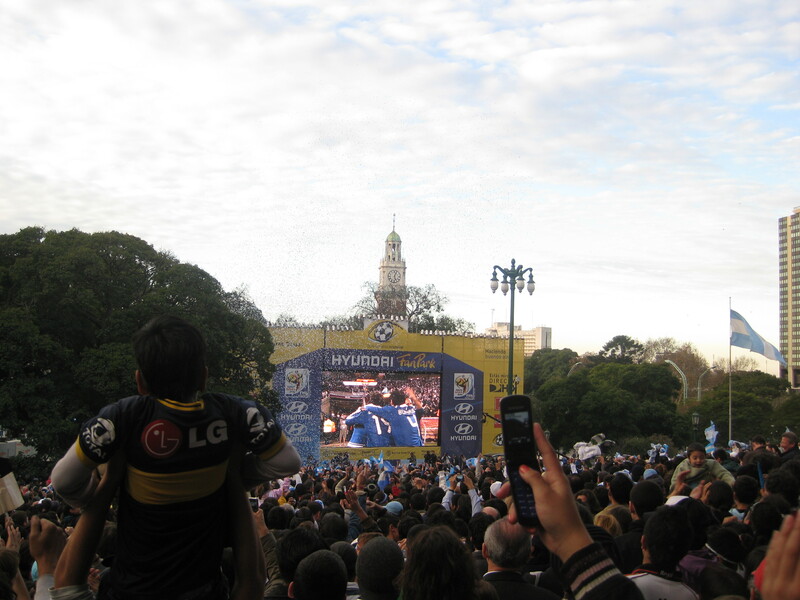 We watched the Argentina-Greece World Cup game from Plaza San Martin today and the energy was just incredible. I have never experienced anything quite like it. The entire country stops when Argentina plays. Schools let out early and people crowd the streets, restaurants and living rooms to watch their beloved players with bated breath. All is quiet until they come close to scoring, and then the entire country gasps and claps in unison. When they score – as they did twice in the last few minutes of the game today – all that pent-up energy explodes into cheers and fireworks. 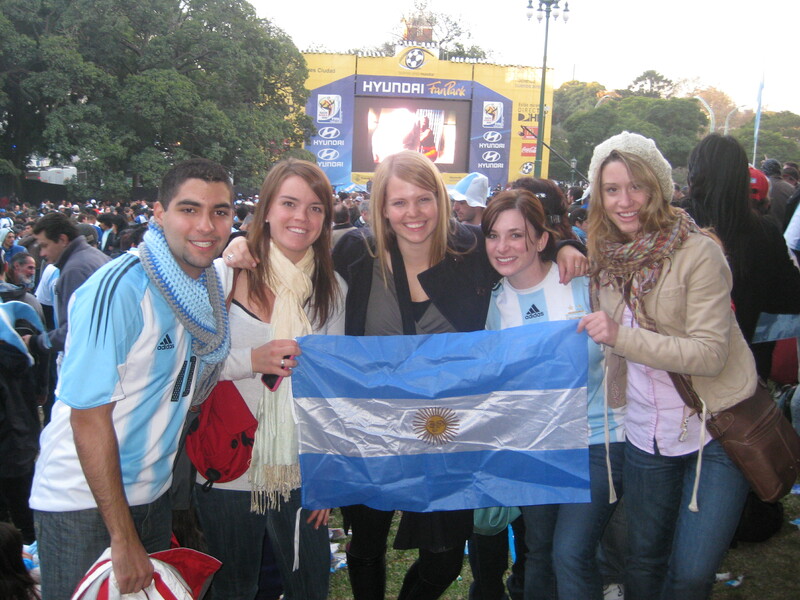 It is exhilirating and I can’t wait to experience it again when Argentina plays this Sunday. I took this right after Argentina scored their first goal of the game in the last 10 or 15 minutes. The crowd (and the entire country) was going nuts. I moved in with my host family two days ago. I live with a mom and her two grown daughters. They are delightful and I love my room. It has lots of bookshelves and books, which makes me feel right at home. It is small and simple, but I have an armoire for my clothes, a desk, and my own bathroom (with a toilet and sink; I share a shower with my host mom). It is in its own private area (beyond the kitchen, in what used to be the maid’s quarters) which is great because I can have privacy when I want it, or can join the family in the living areas if I want company. I usually choose the latter and I am currently in the dining room typing while my host mom makes dinner. She is a great cook and we eat dinner as a family every night (around 9:30 or 10pm; dinner is a much later and longer affair in Argentina). We took our placement exam today for the intensive language month and I placed in Intermediate II (the third level out of 4) to my great surprise. Tomorrow is our first day of classes and a sort of trial day where we will get to try out the level and make sure it is right for us. If it is too advanced, I will just move down one level to Intermediate I. I’m hoping I can keep up though because I’d rather be challenged than bored and I feel like I am learning so quickly since I am immersed in the language almost constantly. My Spanish class will run 5 hours a day, 5 days a week for the first month and then we move to a less demanding schedule (15 hours a week of classes, M-Th) once the semester begins in July. My host family speaks to me almost totally in Spanish. They speak a little English, but know I want to practice so we manage to communicate in very slow and simple Spanish. I am so happy about that because I know many host families speak to their students more in English, but I feel like that sort of defeats one of the purposes of having a host family! So really the only time I am speaking English is when I am out with my friends from the program in the afternoon or on weekends. Not too bad for full immersion right? 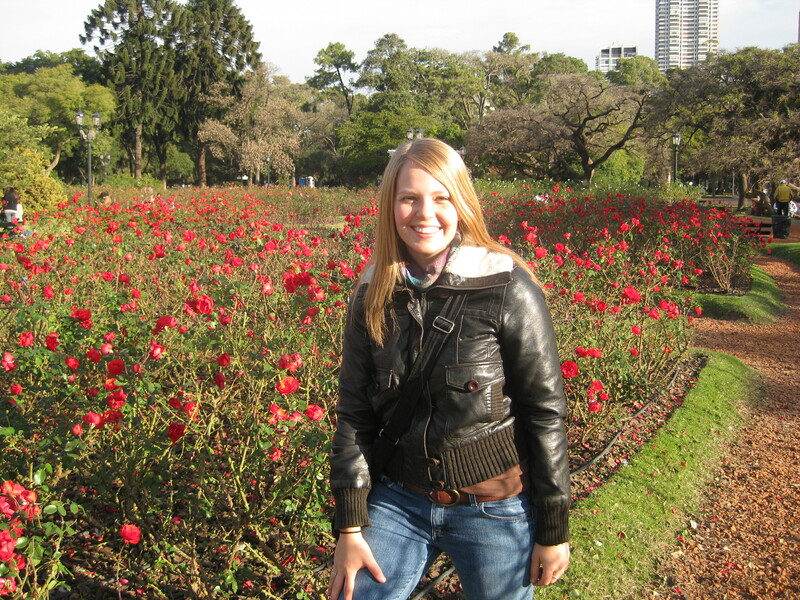 It has only been a few days, but I already feel very at home in Buenos Aires. I love the mix of old European and different types of modern architecture. The public transportation system (Collectivos, their busses; and el Subte, their subways) is extensive and easy to navigate once you get the hang of it. The food is delicious, the shopping is great, and apparently the nightlife is unmatched anywhere else in the world. Plus I get to explore an entirely new (to me) continent! I can’t wait to start traveling . . .
Don’t get me wrong, I have definitely experienced some mild culture shock, which I’m sure will get worse before it gets better. Spending hours trying to get across a few sentences in Spanish can be exhausting, and the adjustment to a more active lifestyle and different food (think LOTS of beef and dulce de leche) is a bit challenging. But I choose to view all of this as part of the adjustment period. I know that it will pass and I don’t want to look back in a few months and wish I’d enjoyed it more. My goal is to fully experience every moment during the next 5 months of my life. And hopefully beyond that. Why is it that so many of us have resigned ourselves to the tedium of our day-to-day lives, when there is so much world out there to see? The cost of living is so low in many countries outside of the U.S. and you can travel for cheaper than you might think if you plan it well and far enough in advance. I guess what I’m trying to say is . . . if you long to travel (or whatever you long to do), don’t give up on that dream. Act on it. Now. I say this for myself as much as for you. I have put the things I want to do off for “later” too many times already, and this trip has been a wake-up call for me. Traveling is in my blood. I was born to do this. 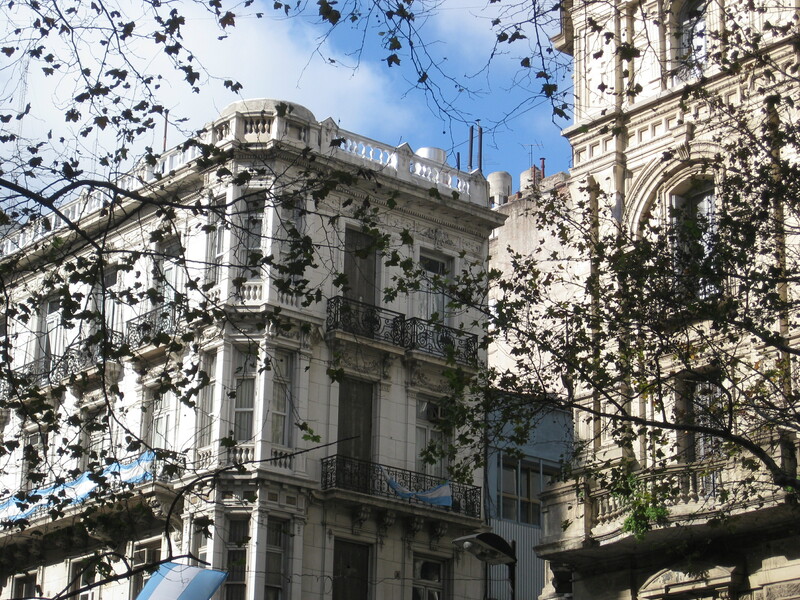 Your experience studying abroad so far sounds amazing! 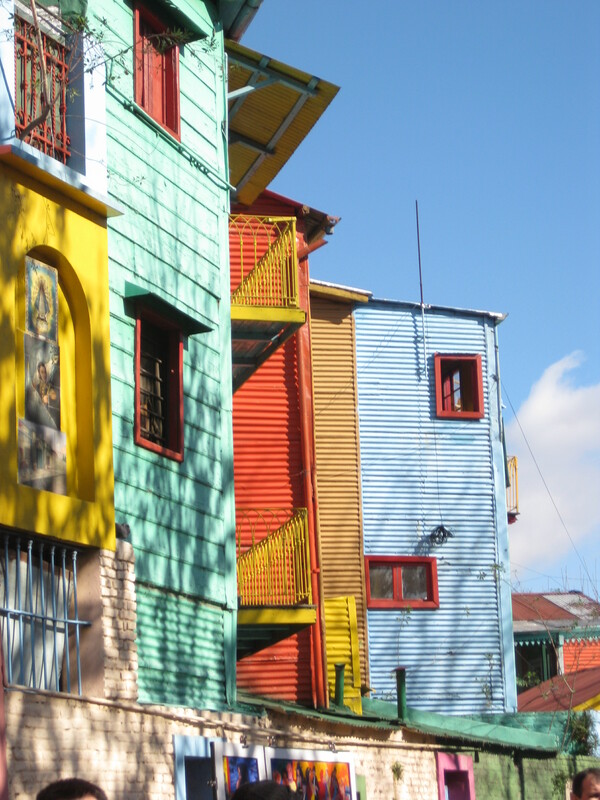 Argentina is definitely on the top of my list of countries to visit in the near future. We hope you continue to have an amazing time. On another note, we would love to feature you and your blog on our website at http://www.gooverseas.com. If you are interested, please follow up with me and we can arrange a short interview. Also, if you’re missing bagels, peanut butter, carrot cake, banana bread, homemade chicken soup and other comfort foods of have a birthday coming up while you’re away don’t miss out on SendLoveBA.com! Loved ones from home (like Mom and Dad) can use http://www.sendloveba.com to order you a delicious care package. It’s expensive to send anything by international post so SendLoveBA has a team of local American bakers baking all your favorites and delivering them in a sweet tote bag to your door! Feel free to contact me if you need advice/help here in BA! 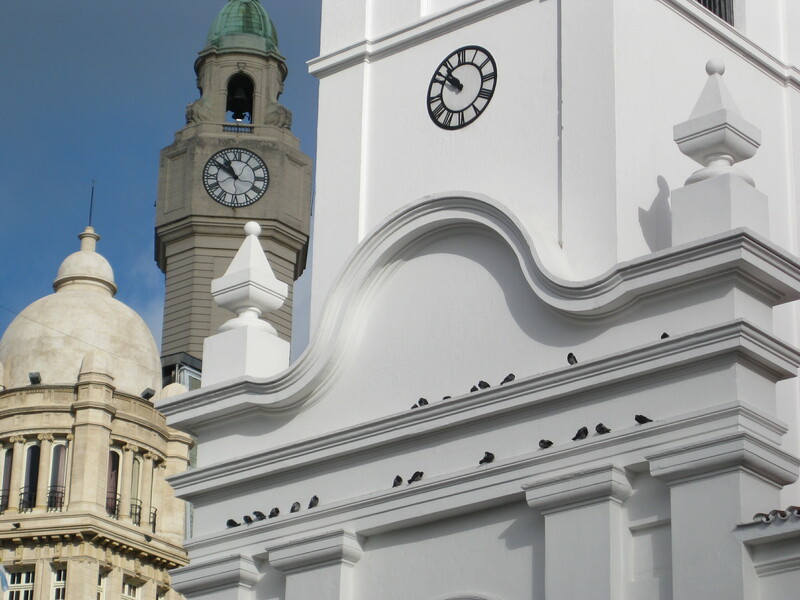 I love reading about your experiences in Buenos Aires! It sounds like an awesome city. And I’m sure you are going to learn so much Spanish!! Good for you for speaking it with your host family. It will get a little easier every day! I love you and miss you! Have a great time!